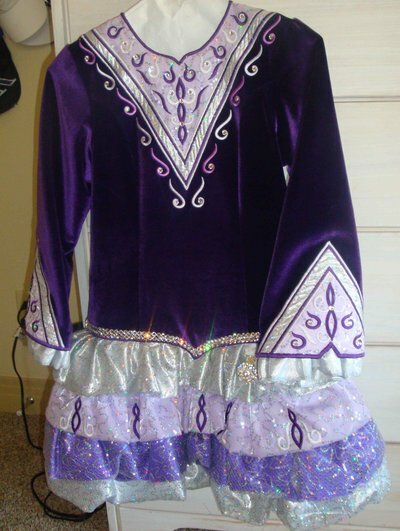 The perfect Novice/Prizewinner/Champ dress! 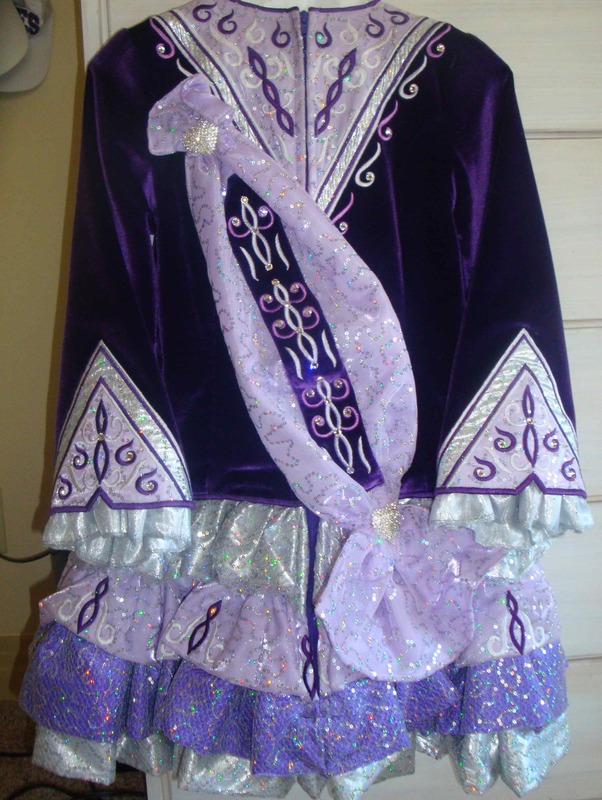 Deep purple velvet bodice with four-tiered silver, lilac, and violet tulle glitter overlay skirt. Excellent condition and very showy on stage. 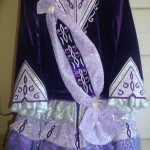 This dress can fit ages 7 – 12 and with minor alterations, your dancer can wear this dress for several years. Asking Price: $US750. Shipping costs are: Are included for my own country, overseas shipping is extra. Returns are negotiable.